What are stereotypes and why do we use them? Are all stereotypes bad? Can we stop people from using them? 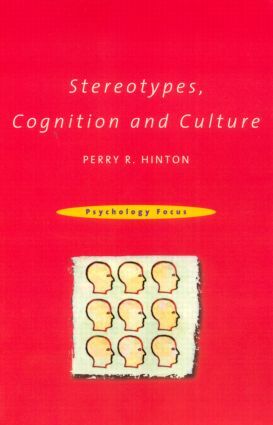 Questions such as these have fascinated social psychologists for many years.Perry Hinton provides an accessible introduction to this key area, giving a critical and concise overview of the influential theories and approaches, as well as insights into recent work on the role of language and culture in stereotyping. List of Figures. Series Preface. Introduction. The The Categorical Perception of People. Cognitive Processing and Stereotyping. Stereotypes as Explanations: Attribution and Inference. Stereotyping and Intergroup Perception. Language Stereotypes. Stereotypes and Culture. Conclusion. Glossary, References, Index.